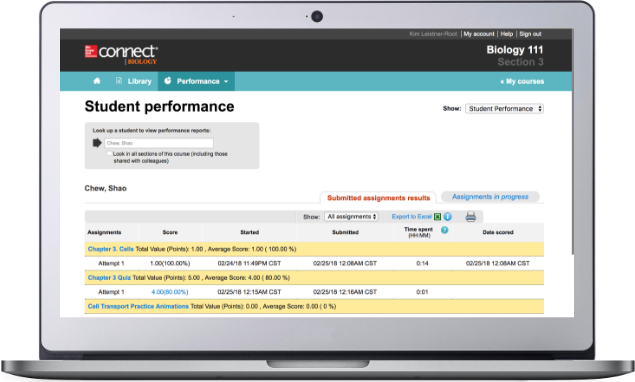 Connect can dramatically reduce the amount of time you spend reviewing homework and grading quizzes. Reporting features provide actionable insights to improve student performance. Roger Shares How to Get to the "good stuff" Using Connect Reports. 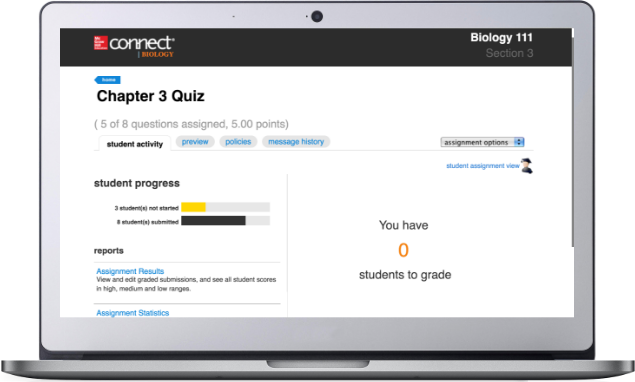 Connect automatically grades assignments and quizzes, saving instructors an average of 50 to 60 minutes per week, freeing up valuable time for students. Item-Analysis Reports identify the learning outcomes your students have achieved and allow you to assess and adapt assignments and student learning resources to help you achieve your course goals. The report highlights topics for which individuals or the entire class may need extra help, so you can use your class time more effectively for all students. 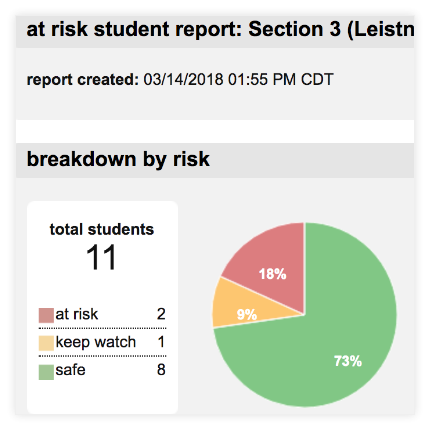 At-Risk reports flag any student who is having trouble, so you can step in and help them out sooner. 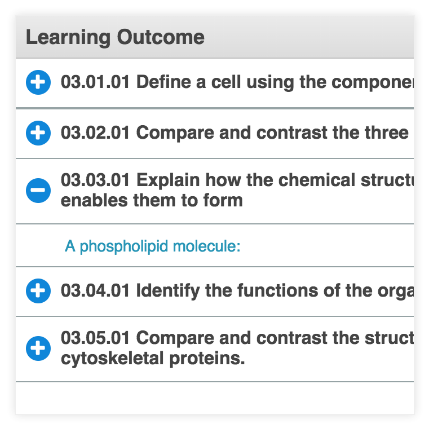 Connect creates customizable reports showing how students are progressing with course material on a class and on an individual level. You'll also gain an overview of the time spent on each assignment and the number of assignments completed. Connect also lets students access their own reports by chapter and topic, so they can monitor their progress and come to class more confident and better prepared for exams.